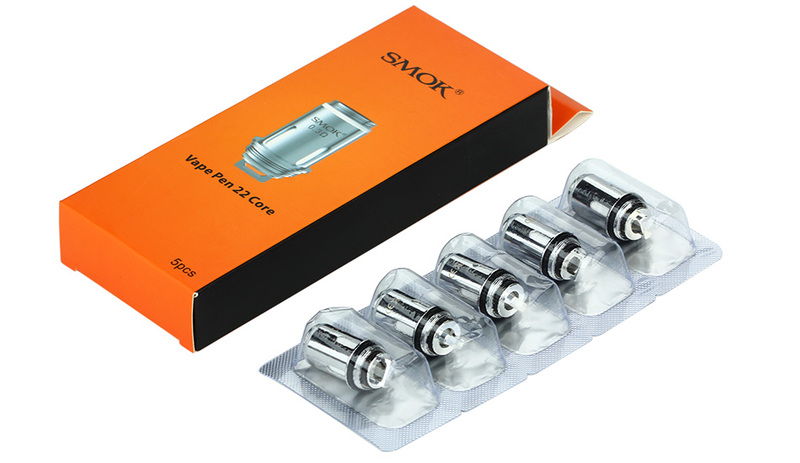 SMOK Vape Pen 22 Core is compatible with vape pen tank and Vape Pen 22 Kit. 0.3ohm NiCr dual core brings you smooth taste; while 0.25ohm dual core delivers massive cloud of vapor. 5pcs each pack. Get them as spare parts. It is designed for Smok Vapen pen 22 and Vape Pen Tank.